Inspired by Girl Meets World and the persistent, collective longing to regress into an idyllic childhood that never actually existed, ’90s sitcom Full House could be set for a revival. TV Guide reports that Warner Bros. is “mulling a new take” on the series about a widowed father of three girls who lives in a near-future dystopia where milkmen and paperboys have all been eradicated, creating an unstable environment where he must shack up with his best friend and brother-in-law to keep the wolves at bay with their funny voices and terrible rock ’n’ roll. Not surprisingly, the revival idea is being championed by John Stamos, who has both an “ownership stake” in the series and lots and lots of vests he just never got the chance to wear. Stamos already reunited with Bob Saget and Dave Coulier earlier this year, in a Greek yogurt commercial that previewed what a modern glimpse of these three men in their 50s still living co-dependently in the same house would be like. (In a word: hilarious.) Both Saget and Coulier are now said to be “involved in some way” in the revival, along with Candace Cameron Bure (D.J. ), Jodie Sweetin (Stephanie), and Andrea Barber (Kimmy)—all of them willing to be on Full House again, even if it means setting aside their current careers of talking about being on Full House. Notably absent from the discussion are Mary-Kate and Ashley Olsen, who recently declared that they’d officially stopped the acting they’d ostensibly started, preferring to concentrate on manufacturing cloyingness in fragrance form. 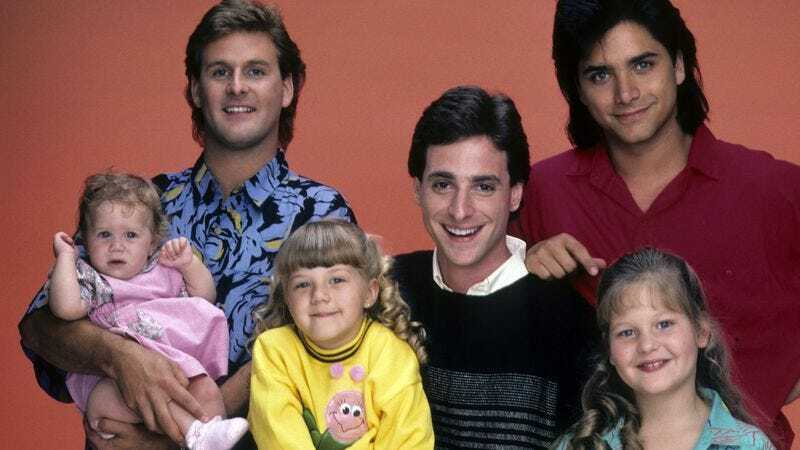 It’s presumed that, if a Full House revival does get made, it will revolve around how, this time, it’s the death of Michelle that will require all these adults to live together for some reason.